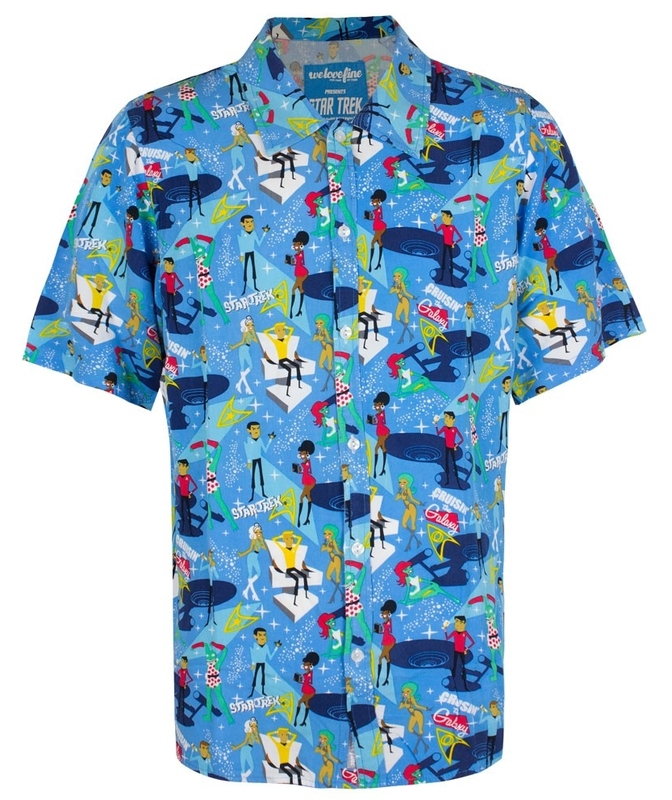 Mighty Fine have recently released several new creative forms of Star Trek clothing, including this glorious TOS Hawaiian shirt! 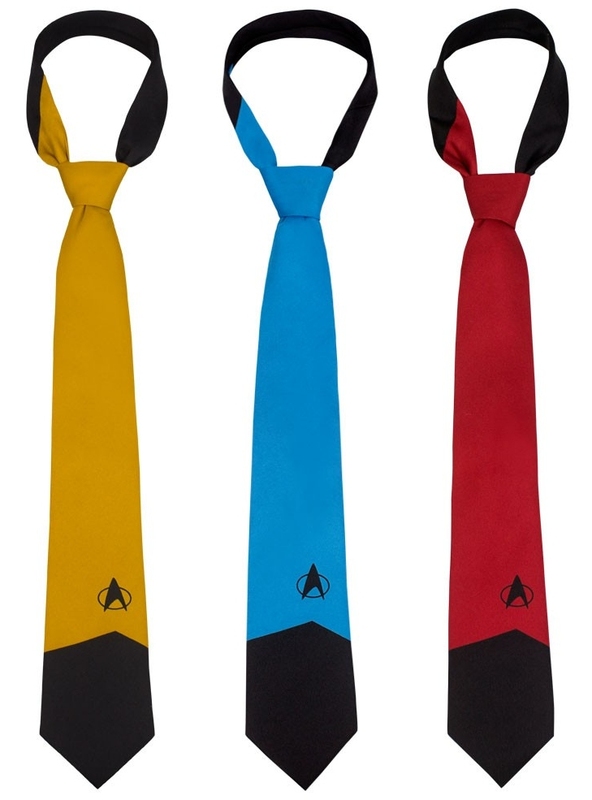 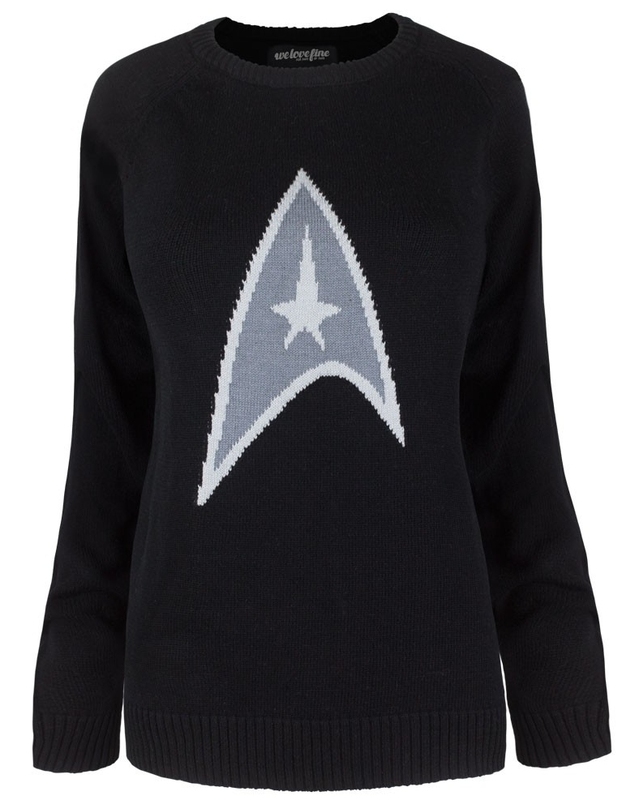 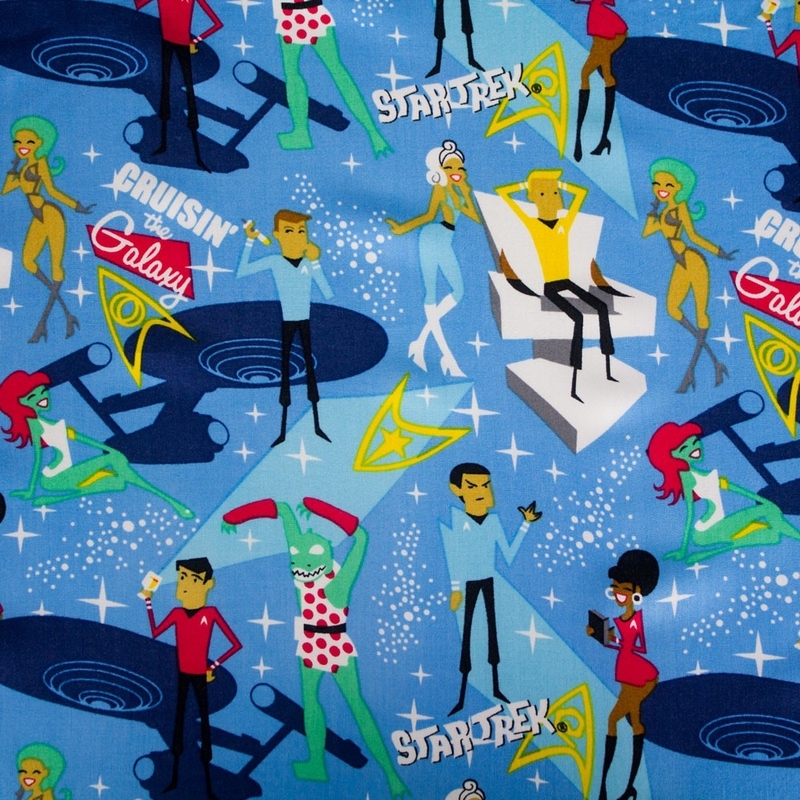 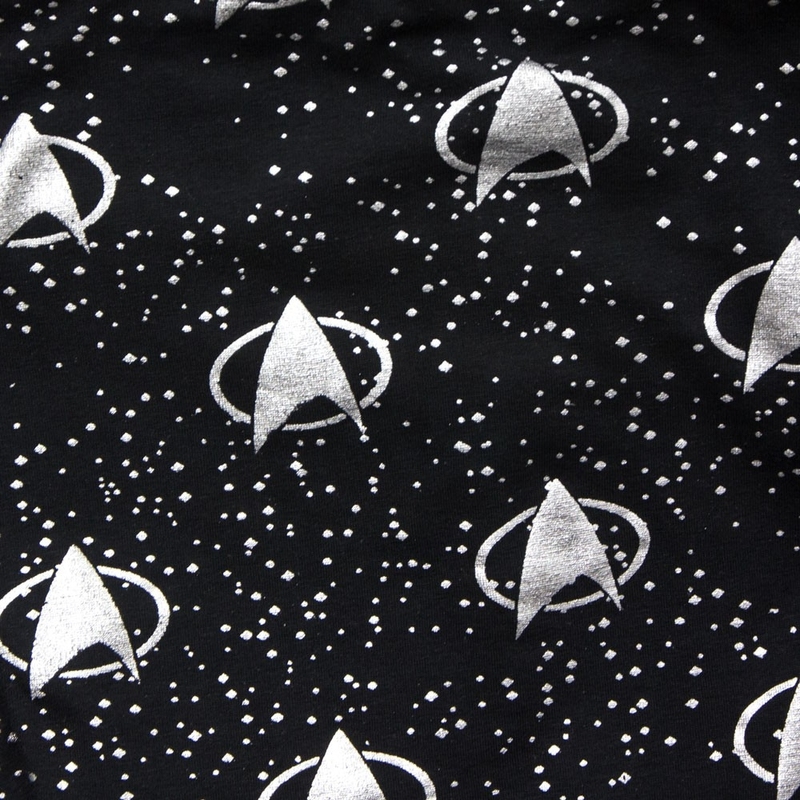 Continue below for more TOS and TNG themed releases from Mighty Fine, including leggings, ties, and a sweater! 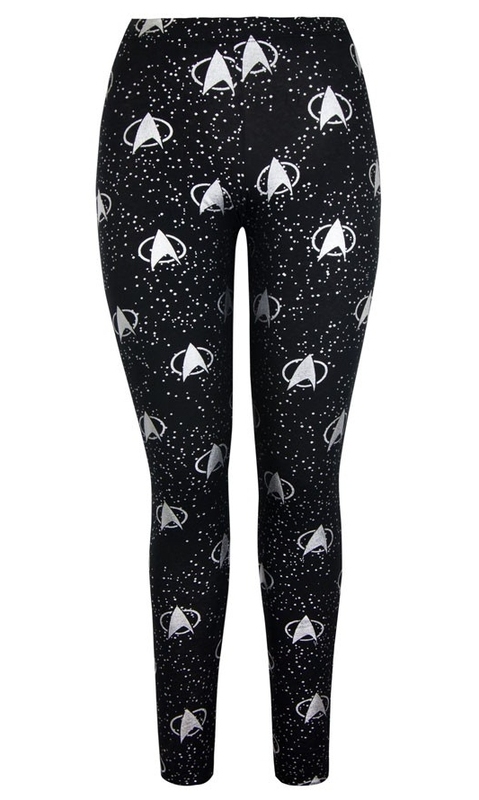 All of these and more Star Trek designs are available from We Love Fine, and the leggings have also been picked up by ThinkGeek, who as ever have done some good product photography, demonstrating them in action on a real person!